Suitable for scrubbing and drying in tough and dirty environments such as construction sites or industrial areas. 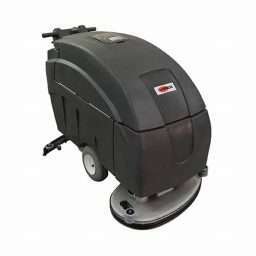 With variable pad pressure you can easily adjust to your specific cleaning needs. The machine has a transaxle drive system with variable speed drive. Simple and user-friendly with variable pad pressure you can easily adjust to your specific cleaning needs.